Artypac Automation designs and manufactures easy-to-use packaging machinery such as vertical-form-fill-seal machines, horizontal flow wrappers, tamper evident machines, auger fillers and volumetric cup-fillers to serve manufacturers and distributors of food, pharmaceutical, cosmetic, chemical, household product and hardware industries. Our mandate is to understand our customer's needs and expectations, our goal is to provide cost effective realistic solutions. Every piece of equipment we build is meant to be trouble-free. Should a customer have a problem, it becomes our problem. We are satisfied only when our customers are 100% satisfied. 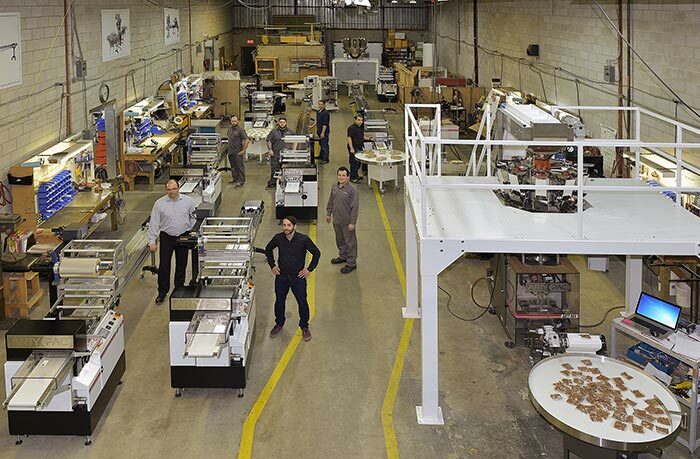 Our team must take advantage of the latest technology to design and build quality, easy-to-use, durable and performing packaging machinery requiring reduced care and no advanced skills to operate so we can offer to small and medium size companies the opportunity to succeed in the very demanding marketplace. High quality materials and carefully selected components combined with ingenuity and special care create performance and reliability in packaging equipment.